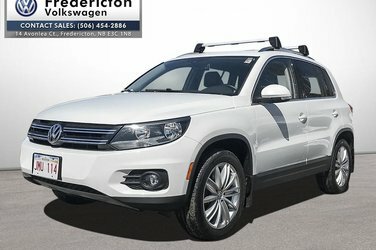 2016 Volkswagen Tiguan Highline 4Motion 2.0L I4 TSI Turbocharged AWD 6-Speed Automatic with TiptronicNew Tires, New Brakes, One Owner, Fresh Motor Vehicle Inspection, All Services have been completed, Local Lease Return, AWD, 4-Wheel Disc Brakes, 9 Speakers, ABS brakes, Air Conditioning, Alloy wheels, App-Connect Smartphone Integration, Auto-dimming Rear-View mirror, Automatic temperature control, Brake assist, CD player, Compass, Delay-off headlights, Dual front impact airbags, Dual front side impact airbags, Electronic Stability Control, Exterior Parking Camera Rear, Four wheel independent suspension, Front anti-roll bar, Front dual zone A/C, Front fog lights, Heated door mirrors, Heated Front Bucket Seats, Leather steering wheel, Low tire pressure warning, Memory seat, MP3 decoder, Navigation Package, Occupant sensing airbag, Overhead airbag, Panic alarm, Power moonroof, Power steering, Power windows, Radio data system, Radio: Discover Media w/Navigation, Rain sensing wipers, Rear anti-roll bar, Rear window defroster, Remote keyless entry, Roof rack: rails only, Security system, SiriusXM Satellite Radio, Speed control, Speed-sensing steering, Steering wheel mounted audio controls, Traction control, Turn signal indicator mirrors, Variably intermittent wipers, Vienna Leather Seat Upholstery. Awards: * Canadian Car of the Year AJAC's Best New Family Car All Volkswagen Assured vehicles are sold with a 112 Point Safety Inspection, Carproof History Report, 6 months of 24H Roadside Assistance, and available $500 Grad Rebate. Upgrade the VW Assurance to VW Assurance Premium and receive a 2 Year/40 000kms VW Manufacturer's Warranty with 2 Years of 24H Roadside and special finance rates available starting @ 0.9% OAC. Fredericton Volkswagen has the largest selection of Certified Volkswagen's in New Brunswick. We have been serving the Maritimes for many years and continue to do so with our "Out of Town Buyers Program". Certified. Want to try the 2016 Volkswagen Tiguan Highline 2.0T 6sp at w/ Tip 4M?